A Daughter Misses Her Daddy! Time is one fact of life that moves, at its own pace. Neither does it wait for anyone, nor does it stop for anything. But it definitely leaves memories, and it sure leaves shadows that play a pivotal role as we move forward with our lives. Some memories stay with us in vivid Technicolor and some shadows fade to distant memories. As time passes, some memories make us feel sad yet happy, and bring a smile after years, comforting and warm in its wake. 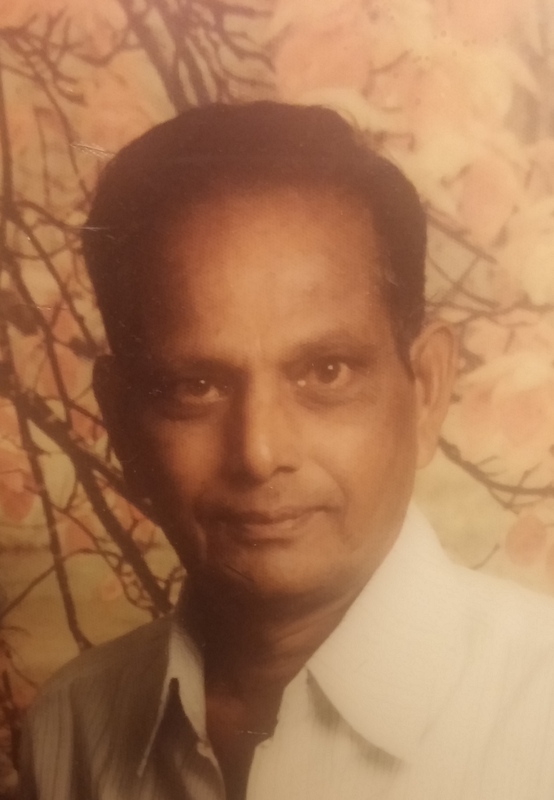 It’s exactly twenty five years today, my father gave up his battle to gall bladder cancer. It was sudden, short and painful! For a person who never travelled and being a homebody, dying in the United States was an irony in itself. And as I inch closer to another year and seem to get closer to my parents age in that time, it just sounds so surreal! My whole life flashes in a kaleidoscope of images and those memories hiding in shadows, come to light with my heart missing so many things and feelings of having lost so much. What really stayed with me as he was breathing his last was his smile mixed with sadness on seeing us. His eyes filled with content, yet with regret that he will not be there to see his daughters make successful lives. And the utter resignation that he’ll not be there anymore as a father to his daughters or a part of their married life or a grandfather. But above all is the immense love he had for his family, shining in his eyes and the satisfaction that his family was in good hands in the future. 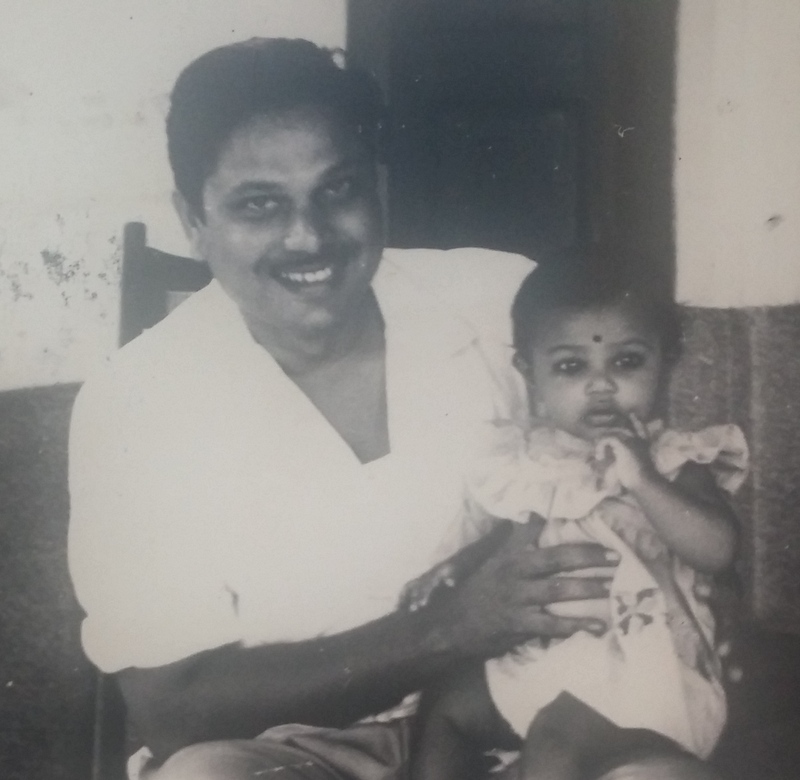 My early memories of him and up until his last breath are of a happy, always smiling, hardworking Dad. Born with a silver spoon, he was not spared from the ups and downs of life and circumstances. He can crack some mean jokes and his laughter is one of the most wonderful memories I have. Like a typical Indian Dad of many years ago, business kept him busy with my Mother being the amazing homemaker. Yet, he never missed what was happening in our lives. He was proud of our achievements and every small milestone. He may have not helped us with homework and school projects, but he made sure to talk with us before going to bed. He may have had arguments with my mother, yet he always made sure that it was a part of life. In his own quiet way, he made sure we were raised with morals and ethics, kind and good hearted. I still remember his shocked expression when he realized his daughters have reached puberty, and his utter surprise that his babies have matured into young adults. Yet, he never missed bringing chocolates or waking us late in the night to share a candy bar or just chats with us. As I matured with my own family and children, I miss him more now than ever. I miss him when I see my husband spending time with our daughters. I miss him when I hear my daughters talking with my in-laws, and I miss him more and more and it actually scares me as I age every year and as my daughters enter adulthood. Nothing can replace the feeling of losing a father, and no one can replace the empty space left by a father. I am grateful for every moment of love and support that helped me come this far in life, and that love and support still continues. I am forever grateful for being part of a close-knit family and I sure hope my children will have the same love and support. I just hope my Daddy knows that we have done well, are doing well and have weathered some strong storms. And I sure hope he knows that he’s missed a lot, yet have left a treasure trove of memories for his family, and I hope that wherever he is, he’s happy and content knowing his family is happy and content.